person who re-buried here have a "Ho"
Then we arrived on the sites, both of Cherry and Chissy, looks so surprissed, seeing there's an ancient chinese graveyard, looks so old, even cherry said that it must be from Ming Dynasty, seeing from the shaped and letter that used in the inscription. Then they start to translate it to english, a little debates occurs between them because its really hard to translate this letter who were in Traditional Chinese, while now in daily they used Simplified Chinese. According to them, this graveyard are mass grave, more than one person are burried in one grave. 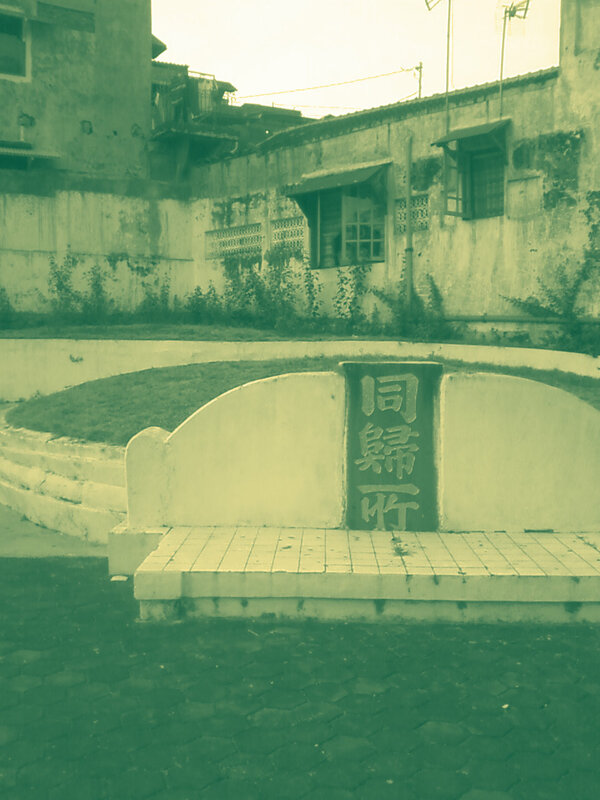 One of the grave are grave for Cheng Ho descendant, WOW! Cherry argue it must be grave of Cheng Ho followers then their descendant since in the surname they used that name. 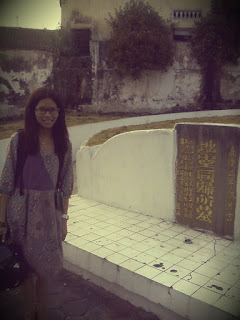 And the others grave are mass grave, but its not written in the "bongpay" (chinese gravestone) its not contains any name. There's an inscription in a rectange-form stone that stood in the northern side of sites, and from that inscription can be seen, that this is was a mass grave from several grave that moved here from their old place, also the cost that spent to built this, the name of the person who burried here, and also the year. The year are in the chinesse lunar calendar, then Chissy took her i-phone and convert it into the gregorian style, and yap we got the year, its built on 1804!